BYU football quarterback Tanner Mangum has been opening up about his battle with depression in the hope that he can help change the stigma surrounding mental health. Mangum first disclosed that he has been dealing with depression and all its effects in some social media posts back in April for Mental Health Awareness Week at BYU. Instead of staying silent since then, Mangum has been using his position as BYU’s starting quarterback for the upcoming season as a way to spread awareness about depression, anxiety, and mental health. The revelation that one the guy who was popular for being a thorough optimist had been struggling with depression was a shock for almost everyone. It was hard to believe that the guy who always seemed to have a smile on his face was battling something darker. In an interview with Deseret News in April, Mangum said that he has been dealing with depression and anxiety throughout his life, but that recent events had led to him reaching out to his family. They wisely advised him to seek professional help. 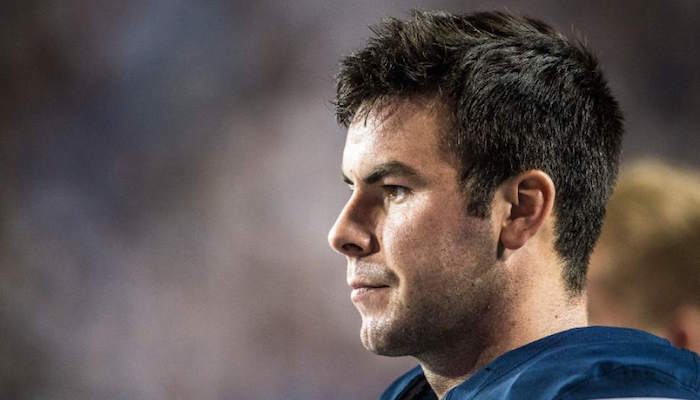 Even though football players are typically seen as hyper-masculine, Tanner Mangum sees no shame in sharing his journey and offering support to others who are struggling. He said he is actually proud to embrace his own journey and grateful for the position and opportunity he has to raise his voice about awareness.